What if there was something you could do in the next 5 minutes that would instantly allow you to shoot tighter, quicker groups without changing your gun, gear, or technique? Shift focus 2 or maybe even 3 TIMES quicker so you can see your sights quicker when you draw and transition between targets quicker. 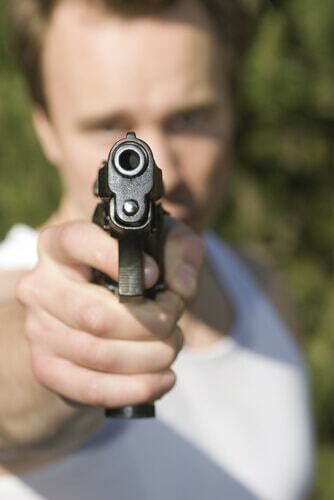 Eliminate confusion when you see 2 sets of sights or 2 targets. Shoot tighter groups than ever before…with both eyes open. Finally eliminate cross-eye dominance shooting issues. Reduce tunnel vision under stress. -	Have wider peripheral vision…so you can observe and identify threats & opportunities quicker, regardless of whether you’re walking, driving, or shooting. US fighter pilots started using this trick almost 50 years ago to flip the tables on the Communists and gain air superiority…and now every combat aviation training program in the world uses it. Top pro baseball, hockey, race car driving, and combat sports athletes use this trick to give them an advantage that no drug can. And people mistake it for good genetics or luck. In fact, top shooters have shifted their focus over the last few years from raw repetition on the range to doing significantly more of this kind of training. But not like any vision training you’ve seen before. This is the first and only vision training course to help combat, competition, and self-defense pistol shooters see threats quicker, see their front sight clearer, and see their front sight quickly enough that they can make aimed hits faster than most shooters can point shoot. Fortunately, vision is a skill…it’s something you can train. And it will make a bigger immediate difference in how you shoot than almost anything else you can do. For shooters who are great already, vision is often the limiting factor and upregulating vision is the fastest way to get quick, explosive jumps in performance. For newer shooters, or shooters who struggle with pistol shooting, visual issues like cross eye dominance, seeing double images, or not being able to find the front sight can be incredibly frustrating. The right vision drills can not only help you shoot quicker, tighter groups, but have a lot more fun in the process. Just like any skill, if you don’t continually practice and challenge yourself, the skill will decay over time. We’re conditioned to think that vision is how well you can see when you’re sitting in a chair and looking at different sized “E”s on a chart from across the room, but shooting vision is SO much more than that. It’s how quickly your eyes can move, how quickly your eyes can shift focus, how wide of a field they see, and how quickly your visual cortex can process what your eyes are seeing. It’s how well your eyes work together and how well synchronized they are with your other senses. It’s dynamic. Static vision is great for reading a book or a chart, but vision for shooting is dynamic. And…this is vital…it’s how accurately your visual cortex combines the two images from your eyes into a single image for the rest of the brain to use. Here’s an example of a shooter who’s visual cortex was combining the images from his eyes incorrectly. He thinks he's got the sights lined up with his dominant eye, but his sights are lining up with the bridge of his nose instead. This is common, but if your sights don’t consistently and reliably line up with the center of the pupil of your dominant eye (think of it as a reverse sight picture), you’ll never be as fast or accurate as you could be. Unfortunately, there are currently only a handful of instructors in the country who assess students for this issue and even fewer who know how to immediately fix it. You'll learn how to fix it in a few minutes using drills so simple a 7 year old can do them. Look, it’s natural to want to focus the majority of your time and money in search of the perfect gun, gear, and technique, and those things are important, but they completely ignore the fact that 80% of shooting is in your head. And MOST of that is visual. But how much time are you currently spending on improving your vision? If you’re like most people, you didn’t know it was an option or thought it took too much time. So you're doing absolutely nothing. The truth is, it takes very little effort to see huge changes to vision--just a few minutes per day--but most people don’t know what to do, so they try gear based solutions. They try bigger, brighter sights, lasers, optics, and all sorts of other crazy things when just a few minutes a day of the right vision training could make them a WAY better shooter than another doodad can. Do You See The HUGE Problem In These 3 Pictures? Each of these shooters will be accurate at close ranges, but won’t be able to make headshots at 15 yards or man-sized targets at 20-25 yards. They’ll blame it on their guns, their sights and make all sorts of adjustments and buy all sorts of gear to try to fix the problem, but nothing will work because the problem is visual and in their heads. They THINK the sights are lined up between the center of their pupil and the target, but it's not...it's lined up with the inside corner of their eye. There's a very good chance you have this same issue and no instructor has ever been able to diagnose it on a live fire range. You’ll learn why AND how to start nailing shots at 15, 25 yards, and beyond, with both eyes open, in just a couple of minutes. as quickly as you can see accurately. Sure, you can slap the trigger like a trained monkey at lightning speed. Vision doesn’t really matter when you’re just spraying and praying. But that’s not a plan for success for combat, competition, or self-defense. In those cases, only hits count and you need to quickly put rounds exactly where you want them to go. And quicker vision is the key. With quicker vision and a wider field of view, you’ll be able to observe potential threats and positively identify them sooner. 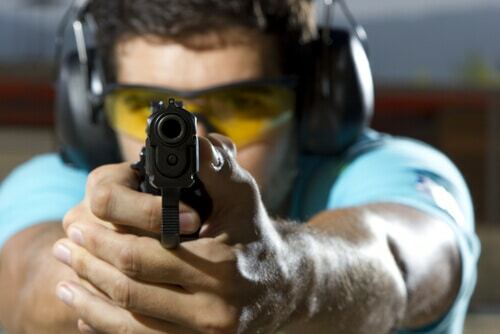 With quicker vision, your sights will come into focus quicker as you’re extending your pistol. With quicker vision, you’ll be able to call your shots easier… which means you don’t need to shift focus downrange to know where you hit. You’ll know where your sights were aligned as each shot is fired. With quicker vision, you’ll transition between targets with minimal lag. Please help me out for a second and imagine a time recently when your vision was worse than normal. For most people, this is easy to do. 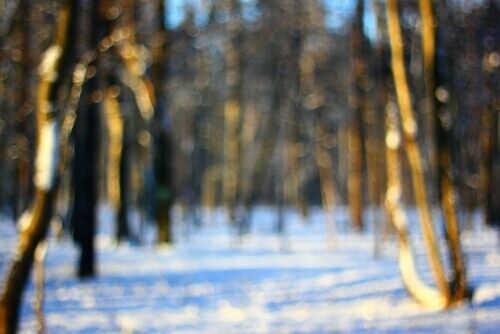 It could have been because your eyes were dry, because you were tired, because of medications, high or low blood sugar, or because you had been staring at your phone or a computer for too long. The reason I asked you to do that is that once you realize that your vision isn’t constant…that it changes from day to day and throughout the day, it becomes obvious that there are proactive steps you can take to positively influence your vision. And, when you do, it’s like taking the brakes off of your shooting performance. I’ll give you a personal example. One performance vision assessment measures how fast you can shift your focus between 2 lists of letters or words and see them clearly. 60 switches per minute is pretty normal. Some people can only do half that speed and it takes them 2 seconds to switch focus. The goal for pro athletes is 100-120. Over time, I’ve upregulated my visual cortex so that I can switch focus and see clear enough to read up to 160 times per minute. It means I’ve cut the time it takes to see my front sight clearly when drawing by 2/3. I wouldn’t say that’s what everyone should expect. Everybody’s different, but everyone CAN improve when they do the simple drills that you’ll learn in the training. You may have heard of a shooter named Jerry Miculek. He holds a few dozen world shooting titles and world records. 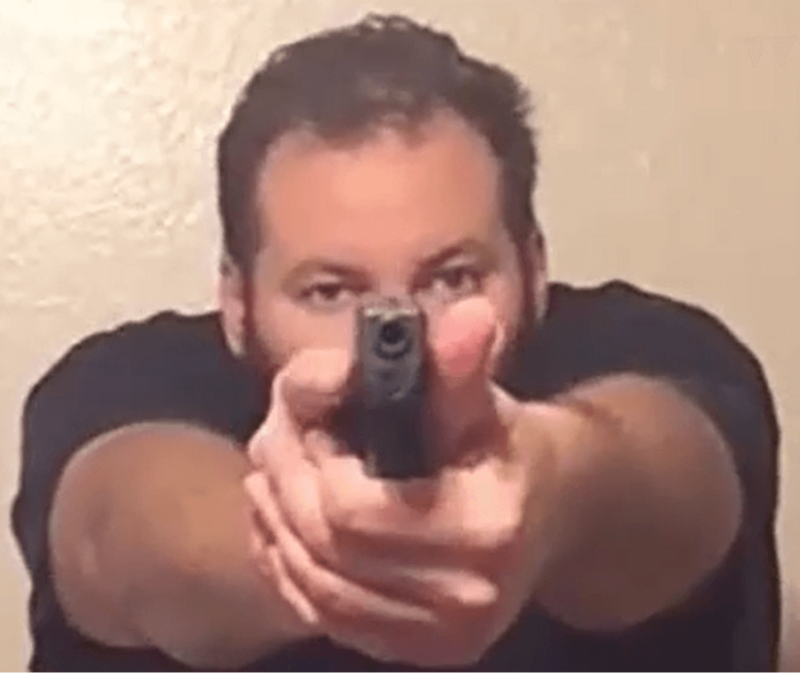 This training includes “simple exercises” but it goes way beyond any other vision training that’s currently available to address the unique needs of pistol shooters. 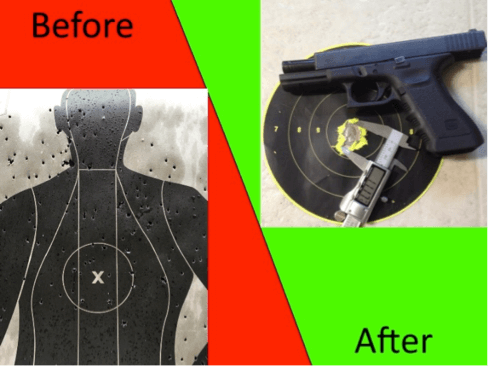 It is the first program designed specifically for combat, competition, and self-defense pistol shooters to help you see & shoot QUICKER and more accurately. This is a big deal, because a LOT of issues that are vision issues get misdiagnosed as anticipation, jerking, heeling the grip, too big/too small of a grip, too much trigger finger, too little trigger finger, snatching, pushing, bad support grip, etc. 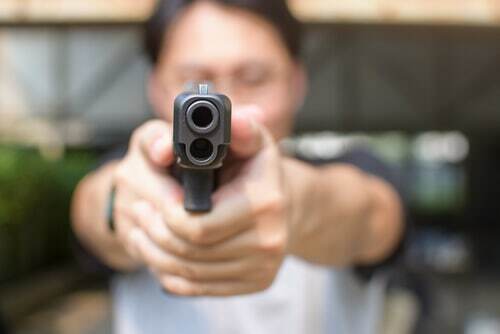 And when we address the visual aspects of shooting, it can quickly change a shooter’s relationship with shooting pistols from being something they merely endure to being something they love. So, whether you’re a new shooter or have decades of experience under your belt, vision is probably one of the biggest limiting factors…or governors…on how quickly you can shoot accurately. This training is designed to help you see quicker and more accurately so you can remove the governor and finally shoot accurately at full speed. I did an experiment recently with a training group that I’m part of. It’s all serious shooters who have trained with high end instructors and practice on their own. We shot a course of fire, did a portion of the drills that I’ll cover in the course…for just a couple of minutes…and then shot the drill again. The average shooter improved by roughly 20% after a few minutes! The feedback I get back from shooters within just a few days of getting the training has been amazing…seeing their sights faster, shooting accurately with both eyes open for the first time in their life, and even avoiding threats while driving that they wouldn’t have seen before. That’s just part of what you’ll learn in See Quicker, Shoot Quicker. Drills to see your front sight quicker, clearer and more accurately, even if you have eye dominance issues or can’t see your front sights as well as you used to. 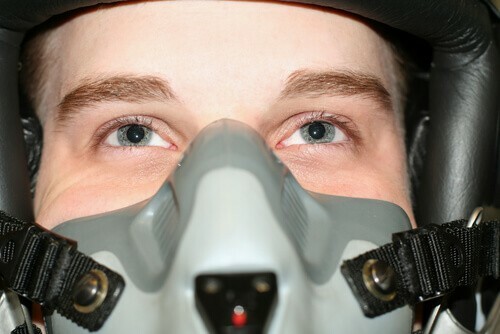 Fighter pilot vision training secrets to help you shift focus quicker...so you can observe and identify threats faster, as well as transition from target to front sight and from target to target quicker. How to improve your field of view and peripheral threat detection, even if it's been limited by glasses for decades. A crazy-simple eye movement hack that will slash your times when transitioning from target to target. Combine this with a pro baseball "head" trick for hitting 90mph fastballs that I'll share with you and it's like rocket fuel. The 5 minute pre-shooting vision warm-up to do at the range that improves speed and accuracy by an average of 20% for experienced shooters and is even more dramatic for newer or hobby shooters! How to avoid tunnel vision and retain your peripheral awareness while focusing on your front sight. What to do in the shower to help you see up to 2x clearer and cut .1 or more seconds off of your drawstroke and transitions later in the day. Breathing techniques to relax and properly oxygenate your eyes and brain so you will maximize their speed and performance. How to calibrate and synchronize your visual and vestibular aiming systems…Most shooters don’t even know these separate systems exist or how they work together, but if you want to shoot quickly and accurately under stress, this is absolutely critical. As soon as you sign up, you’re going to get immediate access to the training videos that will show you, step by step, drills to help you start seeing quicker and more accurately. They’re short, to the point, and thorough, and most people doing these drills experience an immediate improvement in how quickly and accurately they shoot. I don’t want you to spend more than a few minutes per day on these drills. You don’t need to, and it can be counterproductive if you overtrain. I’ll give you a diagnostic test to do before and after several of the lessons using a timer, metronome, or camera phone so that you’ll know immediately which drills help you the most and just how much they help. The instructional videos are just over an hour. That’s too much to watch every day, so you’ll also receive a QUICK daily follow-along routine that’s short enough that even the least disciplined person with the busiest schedule can fit it in. You’ll also receive a pre-shooting routine to do on qualification or match days. The daily routine is designed to help you improve how quickly you see over time…like a workout. The pre-shooting routine is designed as a warmup to help you get the most visual performance possible from your eyes on that day. Some of the drills take specific vision training tools. I’ll give you stop-gap solutions that you can use immediately AND I’ll be sending out a package in the mail that contains the professional grade tools for you to use…a couple of which I designed myself to get around the shortcomings of other vision training tools. When you sign up, you’ll get immediate access to bonus videos, and today's lesson. Add To Cart - $97 This week only...$47! Question: How long will I have access to the videos? Answer: You’ll have lifetime, unlimited access to the videos. Question: Will I be able to order the videos on DVD? Answer: Yes, once we release this training on DVD, the price will be more than double what it is if you sign up today. If you want the DVD in addition to online access, you'll be able to get it at a drastically reduced price when it becomes available. Question: Everyone knows that tunnel vision under stress is a fact and you should expect it. What makes you think these drills can change that? Answer: There's a belief that in a high stress situation, you'll have tunnel vision and only be able to see your front sight or only be able to see your threat. And if that's how you train, you're probably right. But what if people are unique and we exist on a spectrum? And what if people at one end of the spectrum have complete tunnel vision under stress and people at the other end have much wider peripheral awareness? And what if there are specific drills that we can do to change which end of the spectrum we're on rather than just settle for bottom-of-the-barrel visual performance when it counts the most? Fortunately, we can do specific drills to dramatically improve several aspects of vision for threat detection and shooting. You see, I believe that we should copy what high performers are doing rather than settle for craptastic vision that keeps getting worse over time, like a rotting egg. And because vision is SO FAR upstream in the shooting process, it only takes a few short minutes of practice per day to see noticeable improvements. Question: How quickly will I see results? Answer: I don’t know your situation and can’t tell you for sure how it will work for you. Most people who have done these drills with me in the past have seen dramatic improvements within minutes. The brain CRAVES visual input, but it’s also very efficient. As an example, it’s common when you’re wearing sunglasses with thick frames to have a blind spot where the frame was when you take them off. Your visual cortex has basically decided that that part of your field of view can be ignored…this is efficiency. And the “pruning” process happens very quickly. But within a few seconds of the frames being gone, your visual cortex upregulates, gets rid of the ghost image of the frames, and you get a wider field of view back…this is the brain quickly adapting so it can soak in as much visual input as possible. Many of the drills work on the same principle. It’s called SAID or Specific Adaptation to Imposed Demand. If you don’t ask much of the visual system, you may not get much in return. But if you do drills to challenge your visual system to work the way it was designed to work, you can see quick, dramatic changes. Question: What if the training doesn’t work for me? Answer: That’s incredibly unlikely, but there’s a 60 day, risk free, money back guarantee. If the training doesn’t help you, I don’t want or deserve your money. Question: I have a condition like monovision, astigmatism, or I lost an eye. Will this work for me? Answer: I’m a firearms instructor, not an eye doctor or medical professional. I’d love to help, but I can’t give you specific advice about specific medical conditions. If you’re interested, I’d suggest locking in your spot by ordering and ask your eye care professional before you start the training. If they advise against the training, you’re covered by the guarantee. Question: I’d like to sign up to be a private training client and get the See Quicker Shoot Quicker program for free. Answer: Excellent. Click >HERE< and if there are private training slots available, you’ll be able to sign up immediately.